Wooden Service Trolley / Kitchen Trolley for home. 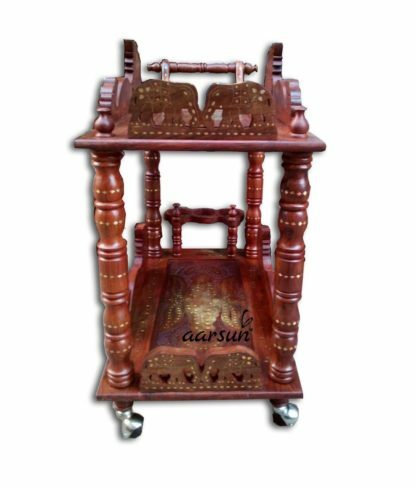 Aarsun woods promotes to you the handmade Wooden Service trolley/ Kitchen Trolley in fine quality Sheesham wood.Wooden Kitchen trolley in Hand-carved by skilled artisans with beautiful floral design. 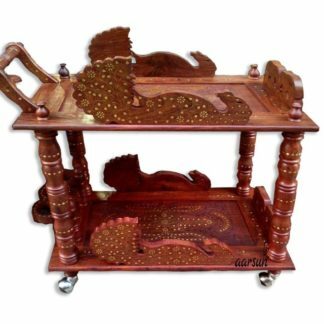 Used for : Serving tea, coffee, snacks still as food, Serving food from kitchen to dining table. The Wooden Kitchen Trolley/Bar Trolley has beautiful work at both the levels. 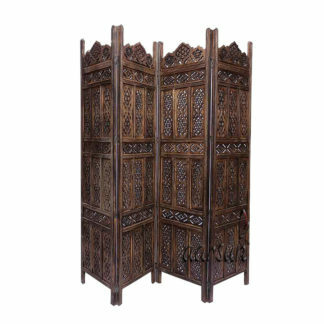 And you can use it in home and add more classy look to your home. 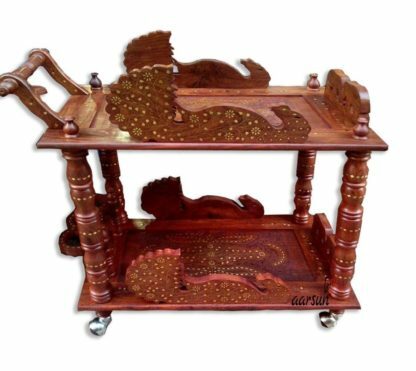 Sheesham is that the popular Indian wood across the world globe known for its durability, natural made grains, and longevity. Rose wood include a stunning irregular grain structure that is extremely distinctive in look and may be polished to a fine end. Unlike the board furniture, solid wood has natural grains that varies from piece to piece, thus making every and each piece unique. Textures if solid wood sets it expert for the board-made furniture. Use a table fabric or any thick quality fabric to wipe it clean. To protect it from fading, avoid keeping the product close to windows where it can be exposed to direct daylight.